Cold Craft specializes in Lieberts and other equipment that operates in mission critical applications such as data centers, head ends, call centers, etc. Examples of our work can be found in facilities such as Sprint, Covad, Hewlett Packard, Measurex, the Market Post Tower, MFS, Vishay Siliconix, Wyse Technologies, WorldCom and other high tech locations in Silicon Valley and the SF Bay Area. As a company grows, so do the needs for data retrieval and storage. Just adding one or two pieces of rack mounted equipment in a confined area can send the temperature shooting up over a hundred degrees. If temperatures get too high, the servers are designed to protect data and software. Equipment will shut down. 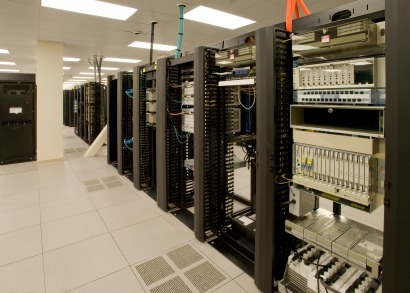 As more equipment is added, the need for Data Room and Server Room specialists is critical, call us 408.374.7292. Server rooms require their own air conditioning systems because they generate so much heat. For server rooms cooled by a package unit, it is usually impossible to protect equipment simply by adding an additional supply or increasing duct size. Cold Craft has been providing data rooms with cooling solutions for over 20 years. Our primary goal is to protect and safeguard mission critical information systems and equipment within your budget.